Thank you for reading today, we'll be back tomorrow at 08:00 with more news, sport, weather and travel from around Oxfordshire. Thames Valley Police is appealing for witnesses to a robbery in an Oxford alleyway on Tuesday. A 31-year-old man was walking towards Tesco from Barns Road into the alleyway at the back of Kersington Crescent at about 22:00. A man on a bike stopped in front of him, while another man grabbed him from behind and threatened him with a knife. They stole his mobile phone and cash. The first offender is described as about 5ft 8in, of stocky build, wearing a parka-style jacket with a white fur hood, dark PVC trousers and trainers. The man on the bike was about 5ft 7in with a slim build, wearing a black scarf, black raincoat with a hood, black gloves, dark tracksuit bottoms, white trainers, and white baseball cap. His face was covered. A third man who was with the two offenders but did not take part in the robbery is described as having a skinny build and wearing a black jacket. PC Harriet Scroggs said: "I would ask anyone who may have witnessed this incident, or noticed anyone around the area at the time of the offence acting suspiciously, to come forward if they have any information." On the A415 at Marcham there is major congestion to the A34's Marcham Interchange and along Ock Street in Abingdon. Travel time is currently 45 minutes. Peking University's business school has bought a former Open University site. There are delays of over an hour and 15 minutes on the A34 southbound between Hinksey Hill and Milton after an earlier collision at Milton that is partially blocking lane one. Controversial plans which would see the downgrading of the Horton Hospital will not yet be sent to the secretary of state for health despite calls from campaigners . 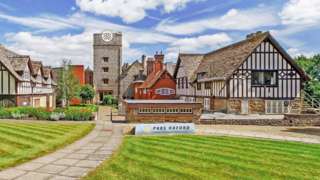 A leading Chinese university has announced plans to open a new Oxford campus. Peking University HSBC Business School (PHBS) has bought the former Open University site in Boar's Hill. It said the new facility just outside Oxford will open in summer 2018 and will teach students from China, the UK and the European Union. They will be given the opportunity to study one year at the Oxford campus and another year in China. A statement from PHBS said China was "opening its higher education market to the world" in a bid to improve the country's "inferior position globally over the past century". The BBC has defended its representation of diversity on screen after Ofcom said the broadcaster needs to "become more relevant" to its audience. Sharon White (pictured), head of the regulator, told the Oxford Media Convention that lots of people see the BBC as too middle-aged, middle-class and white . She said the issue would be a priority for Ofcom when it takes over from the BBC Trust as regulator of the BBC next month. But a BBC spokeswoman said "significant progress" had already been made. Oxford City Council has given a £10,000 grant to the Oxford Playhouse to go towards a scheme where primary school pupils write plays for professional actors to perform. The workshops are led by playwright Renata Allen and involve Bayards Hill, East Oxford, New Hinksey, St John Fisher, St Michael’s and Windale schools. Mezze Eade, participation director at the theatre, said: "The children never run out of ideas or enthusiasm. "We hope that participation... will inspire a lifelong engagement with the arts, and a sense of belonging to the Oxford Playhouse family." The authority also announced today that it is giving £20,000 to develop a cultural education programme at five secondary schools. They are Cherwell, Cheney, St Gregory the Great, The Oxford Academy and Oxford Spires Academy. A concert in memory of George Michael will be held at Goring village hall on what would have been the singer’s 54th birthday . The UK Music Census will run for 24 hours from midday today in Glasgow, Newcastle, Leeds, Birmingham, Southampton, Brighton and Oxford. Researchers will audit gigs, from street performers and choirs to pop bands playing arenas. Described as a " Springwatch for music," the project will be conducted by the universities of Edinburgh, Newcastle and Glasgow. Project leader Matt Brennan said: "Venues around the country have been telling us that they already operate on thin margins, so proposed increases in rateable values of up to 55% in some cases will have a significant impact. "The UK Live Music Census will be very important in identifying challenges that the industry faces, such as rising rates and other issues. "It will give us a detailed picture of what exactly it means to be a venue owner, a musician and a live music lover in 2017." 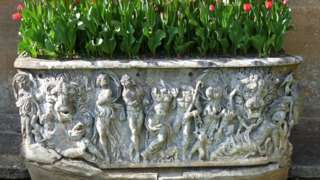 For two centuries the 1,700-year-old Roman sarcophagus was used as a water feature and flowerpot. A marble trough that was used as a plant pot in the grounds of Blenheim Palace has been identified as a Roman sarcophagus dating back more than 1,700 years. It's thought it could be worth hundreds of thousands of pounds. 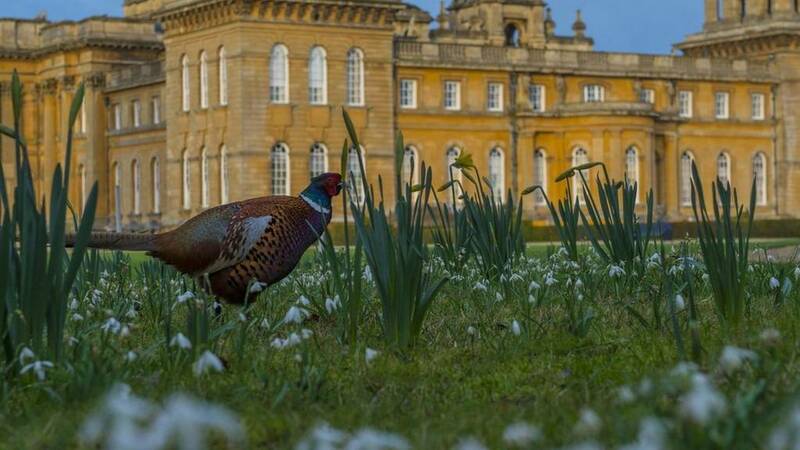 House manager Kate Ballenger said: "Now it is in a consistent indoor climate away from the natural elements we are hoping it will remain in good condition and survive for many more centuries to come." 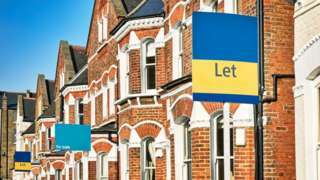 Renters demand new rules to stop landlords denying accommodation to people on benefits. Oxford United boss Michael Appleton says back to back home defeats this week have exposed the reality that his team aren't quite strong enough to compete with the big guns of League One. Appleton isn't giving up on a play-off push, but says the club is three or four players short of being able to challenge with title contenders Sheffield United who beat the U's 3-2 on Tuesday night . And while away form is strong, Appleton believes the lack of a stand behind one of the goals at the Kassam Stadium continues to be a factor. "I don't think that will ever go when we've got that big hole behind us," he said. Owners of an exclusive club frequented by the rich and famous will be urged to take a stronger stance with members over speeding on the surrounding country roads . There are delays of up to 20 minutes on Great Western Railway services between Reading and Didcot Parkway due to a signalling problem. Two arrests have been made after two burglaries involving firearms . Guns were stolen from a house in Bampton last month and then last week a man was threatened by armed men at his house in Faringdon. A man has been arrested on suspicion of aggravated burglary and a woman on suspicion of helping an offender. An Oxfordshire pub has been named one of the top 15 dog friendly establishments in the UK. The Star Inn at Sparsholt has been chosen for its best homemade organic biscuits. Inn Places chose pubs with rooms which provided things like beds and fresh towels for pampered pooches.